The Apollo Partnership Trust began in November 2017 as a Multi Academy Trust formed by 3 ‘Good’ Academies located in North West Leicestershire in the East Midlands. We have high expectations and aspirations for all students and staff within our Trust and we expect excellence throughout. We believe that all our students and pupils should be given the very best chance in life to progress and develop into further or higher education and employment, irrespective of individuals own circumstances. Beyond the classroom we offer many extra-curricular activities, clubs and opportunities to develop a range of skills, nurture existing talents and offer a chance to try new things; which not only help make new friends but benefit the mind, sense of confidence and promote a healthier lifestyle. In the current educational climate, with ever increasing costs and funding, we aim to secure the most efficient and effective number of schools to benefit from economies of scale, good practice and shared resources. Additionally, by working with a diverse range of schools/academies we will ensure a rich educational offer to all young people we support. Our core focus is the accomplishment and development of each individual student. We believe that this is best achieved through maintaining and developing each academy’s unique identity and individual characteristics. We encourage diversity and recognise that high levels of success cannot be sustained by adopting a ‘one size fits all’ model. Collectively, we work together to share and co-develop best practice for the benefit of all our academies. At the Apollo Partnership Trust we want to create a world class education system for all students. We want all our students to value education and become lifelong learners so that, when they leave school, they are able to adapt to changing global, political, social and economic context to enable them to prosper throughout their lives. Our challenge is to continue our journey to improve our provision and systems so that all the schools within the MAT are ‘Outstanding’, not only in terms of their Ofsted judgement, but in the eyes of our learners and community. We believe in true collaboration, working in partnership, investing in people and building capacity for long term, sustainable success. We will continue to promote our values and visions to all staff at all levels across our MAT. “Being part of a multi academy trust has brought many benefits to our thriving academy. First and foremost, being part of a bigger group has provided the pupils, parents and staff alike with many more opportunities both in and out of school. We have access to a wider range of facilities, expertise, resources and opportunities which being a single, standalone small school. Being a member of our MAT means striving for excellence, valuing our staff, investing in their future, allowing for progression and growth and working in true collaboration and partnership with others. Working in partnership allows us to shape each academy for the community it serves. All our schools work closely together to create a sustainable model of high quality education for all students. We believe that sharing ideas that work, utilising teaching expertise across the MAT and learning from each other allows us to move forward as a family of schools. To build a Multi Academy Trust with high performing educational outcomes across Coalville and North West Leicestershire that provides educational excellence, social mobility and community development, with a capacity for growth. Ensure the learning journey for all students and students across the MAT is ‘outstanding’. Provide a structure to support vulnerable and underperforming schools under the leadership of our primary and secondary leads. To develop effective and efficient corporate support systems across the organisation providing value for money and clarity of accountability at all levels. To develop a common, challenging curriculum that inspires students to achieve and enhances progression through the key stages. To recruit, retain and support high quality educational staff, sharing of good practice between schools and develop an efficient and sustainable corporate training and performance system, which ensures capacity for improvement and succession planning, in accordance with the Strategic Development Plan priorities and which effectively tackles underperformance. To build an effective partnership that shares resources to improve educational outcomes of young people. To ensure that any schools within or joining the MAT are at least good within the period of an agreed action plan. Our school improvement team is the cornerstone for maintaining and building effective schools where all stakeholders share the responsibility for students learning and achievement. Working in collaboration and building partnerships to share expertise, experiences and knowledge can and will have a very positive impact and ensure the best possible outcomes for students. Deliver high quality school improvement activities. Provide high quality professional training and school support improvement activities. Identify good and best practice that contributes to a wider network of disseminating good practice. Regularly review the effectiveness of provision whilst supporting next steps. Act as a critical professional friend, helping leadership teams to evaluate school performance, identify priorities for improvement and plan effective change. Help school leaders, teachers and support staff to build capacity to improve learners’ achievement and well-being. Feedback to heads and suggest and discuss further priorities. Having a team dedicated to school improvement helps to drive the shared vision of the Apollo Partnership Trust and ensure that all students have the best possible opportunities to thrive in all aspects of their life. 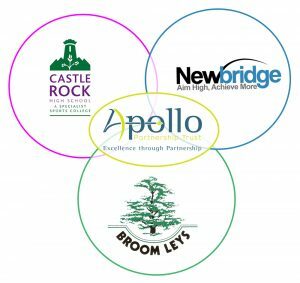 The Apollo Partnership Trust are delighted to give our students access to more facilities and extra-curricular activities. 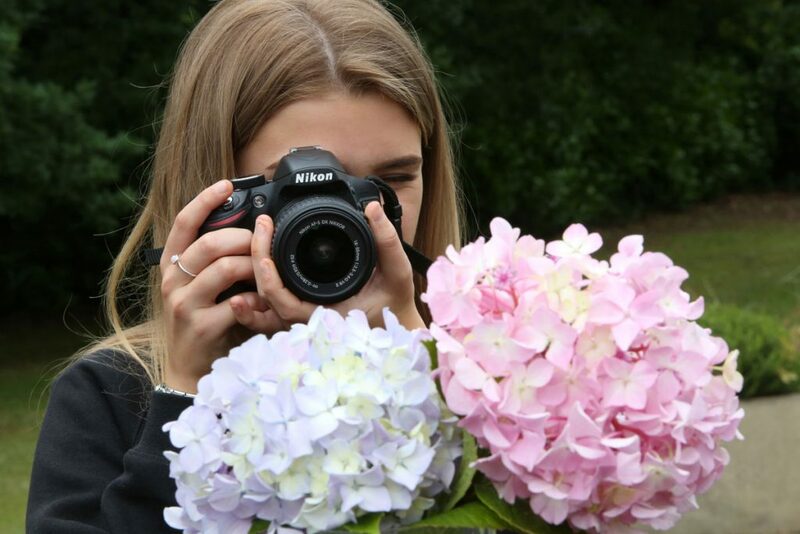 We regularly hold joint events with our schools, which help our students meet their peers from other schools, develop new friendships and have a wider sense of community spirit. Apollo Partnership Trust takes its staff benefits seriously. We aim to reward the efforts and dedication of our staff and do what we can to improve the balance between their work and home life. We offer a range of staff benefits which can be found in more detail here. Continuous Professional Development is vitally important to all staff. Regular lesson observation and feedback for teachers when needed, following a coaching approach where the emphasis is on a two-way professional dialogue. Opportunities for teachers to observe other their colleagues across the MAT, sharing best practice. Tailor-made CPD at individual and group level to support all staff. Increased ability to secure high quality external speakers to explore and encourage innovative practice across the MAT. The Apollo Partnership Trust has an approved Scheme of Delegation defining the powers and functions that are reserved for the Board and its committees. In exercising its strategic role the Apollo Partnership Trust will retain exclusive responsibility ensuring compliance with the Trust’s duties under Company Law and Charity Law and agreements made with the DfE, including the Funding Agreement and the Deed of Gift. The Trustees determine the educational character and mission of the trust and set key strategic objectives as well as determining the constitution, membership, proceedings and delegated powers and functions of the Local Governing Bodies. Each school has a Local Governing Body (LGB) to which the Trustees value and work collaboratively with including delegating certain functions through the Scheme of Delegation. The LGB carries out its role in promoting high standards and ensuring that students and pupils are attending a successful school, which provides them with a good education and supports their well-being. The LGB is responsible to the Trustees for its actions and follow the expectations of governors as laid down by the Trustees within the Governance Terms of Reference. It is usual practice that the Trust will provide the services of a Clerk. However, where a school has its own Clerk and the quality of the service is appropriate to meet the needs of both the school and Trust, the school may continue with their own Clerk under the guidance of the MAT Board of Trustees Clerk. We strongly believe that school leaders and all staff can share thinking and planning, to spread expertise and tackle challenges ahead. Each of our Senior Leaders and Heads have a strength and expertise in a variety of different areas. Together we collectively learn and benefit from each other’s knowledge and develop our leadership to support the development of our children and schools. Groups of schools can find it easier to discover and fund specialist expertise (specialist support, finance, IT). By sharing costs and negotiating for the MAT, we can ensure that all schools’ requirements are met efficiently, financially and professionally. The economies of scale and collective procurement made possible within larger groups can help schools cope better with the present financial climate. There are far greater career and development opportunities for our most valuable resource – our staffing. Not only can we offer additional career development opportunities but also greater ability to effectively succession plan for all our schools within the MAT.